Goal! Goooooool! Tooor! Everyone is currently talking about football. Millions of fans all over the world cheer on their team in the stadium, at public viewing or on their home screens. 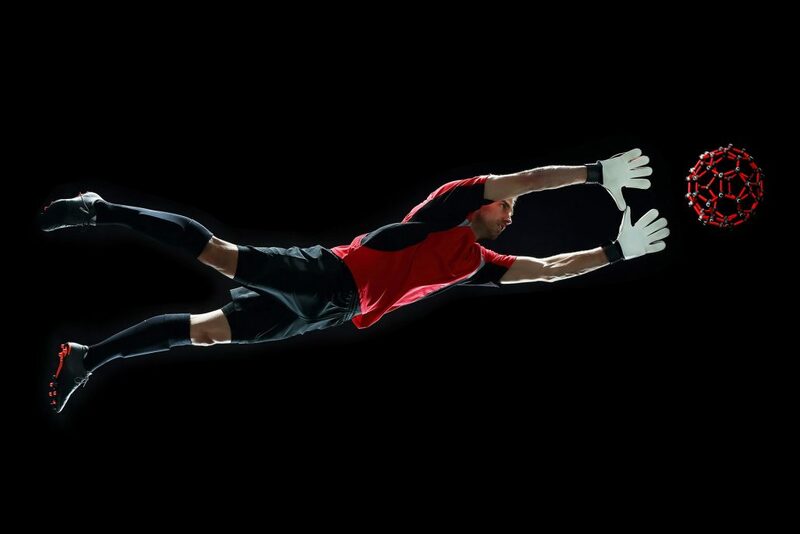 When football is played, products from LANXESS could also be part of the game. For example, the most important “tool” of the kicker: its shoes. 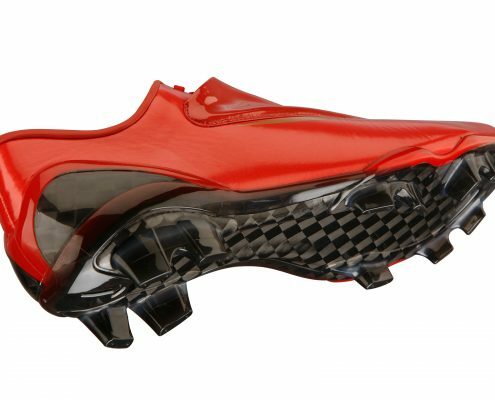 Many models of football cleats have uppers of high quality leather, which are “refined” after tanning with special coatings. This production stage, which in the jargon of the trade is called “finishing”, does not merely provide shine, color, and a pleasant surface feel. 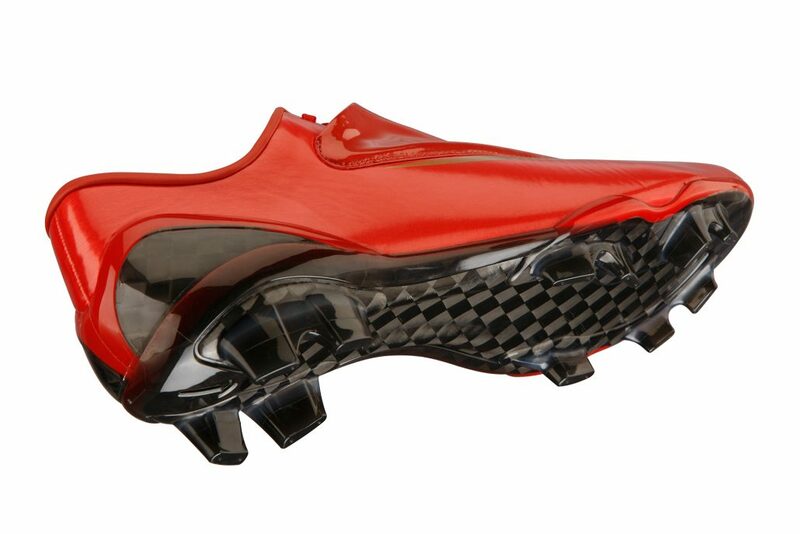 For football cleats, it does one thing above all else: Despite continuous contact with the ball, grass, soil, and water, the leather remains virtually unscathed. Applied in gossamer-thin layers, the LANXESS synthetic polymers – such as Aquaderm, Bayderm or Euderm from the polyacrylate and polyurethane families – make the leather robust. The right sole construction offers optimum support and cushioning: Renowned brands use the high performance fiber composite Tepex® for the soles of their cleats, which LANXESS produces in Brilon, located in the Sauerland hill region. The material is particularly firm and rigid due to the use of continuous filaments. At the same time, its weight is extremely low. Many successful players appreciate this. Wenn Fußball gespielt wird, könnten auch Produkte von LANXESS mit von der Partie sein. The fans on the stadium seats are also very close to LANXESS products. 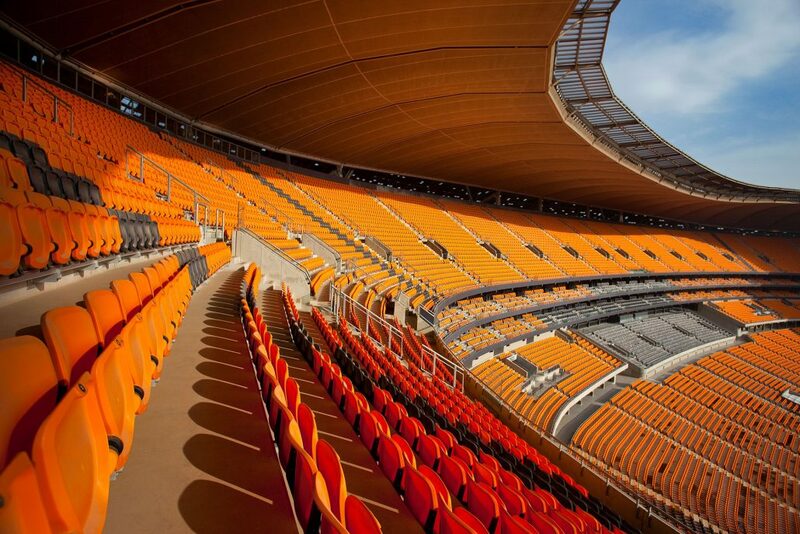 Here, the versatile high-performance plastic Durethane® replaces the metal supports normally used for seats in stadiums and other sports venues. The premium plastic used for the seat supports withstands loads of up to 600 kilograms. The main advantages of Durethane® are its stability and durability under static and dynamic loads, and its resistance to corrosion. By using injection molding methods, the Durethan® supports and seat buckets can be shaped in such a way that they have no sharp edges on which the fans could hurt themselves. Parts in which hands or feet could get caught can also be avoided. LANXESS products can not only be found in the stadium, but also on the outside. 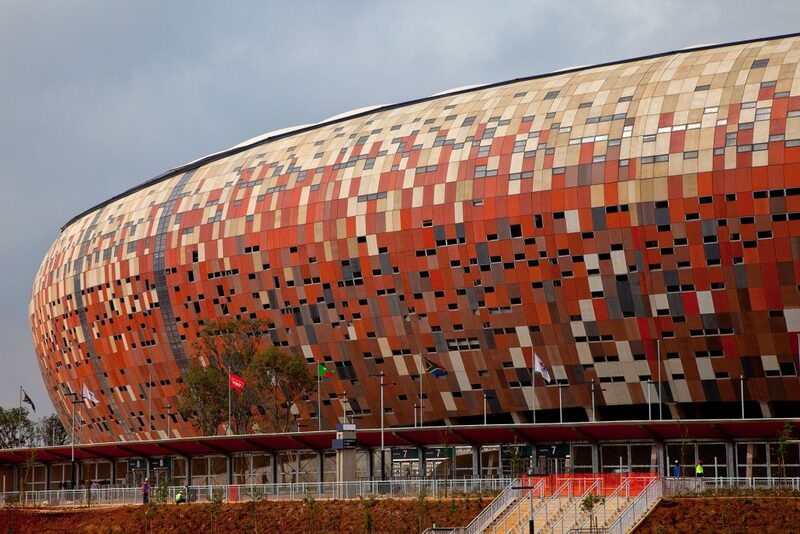 In South Africa, the outer shell of the Soccer City Stadium in Johannesburg was colored with color pigments from LANXESS. The iron oxide pigments produced by LANXESS at the world’s largest production plant for color pigments in Krefeld-Uerdingen are highly light and weather resistant and have a high color intensity. 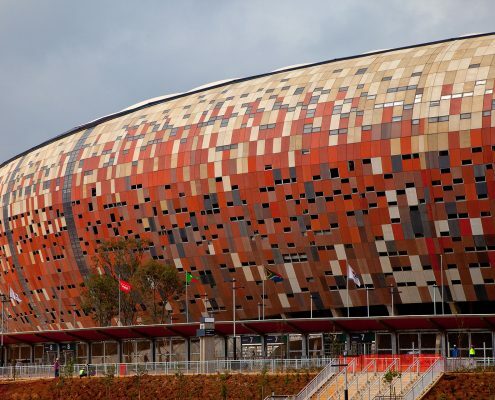 The architects used the traditional African drinking vessel, the calabash, as the shell for the largest African stadium, which can accommodate almost 95,000 spectators. In Brazil, LANXESS also brought color to architecture and infrastructure. At the Arena das Dunas in the coastal town of Natal City, yellow and brown coloured concrete paving stones around the stadium create a bright and friendly atmosphere. Another example is the Arena Pantanal in the city of Cuiabá, which lies to the north of one of Brazil’s most important ecosystems. The concrete slabs of the forecourt at the stadium were given their warm colour by the sustainably produced yellow pigment Bayferrox 921. 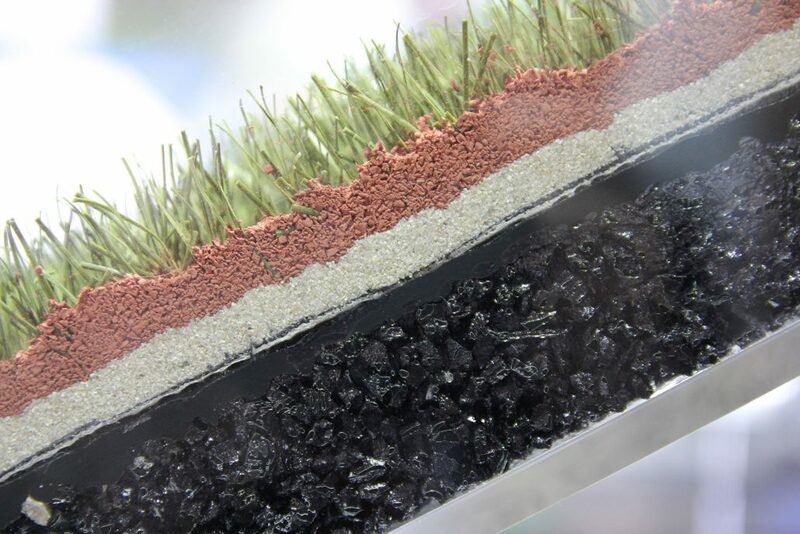 LANXESS products are also used in football stadiums with artificial turf. Pitches with artificial turf provide reliable conditions so that top sporting performance can be offered. Polyolefins have proven themselves for artificial blades of grass. Many manufacturers rely on inorganic pigments from the Bayferrox and Colortherm brands from LANXESS to ensure that their greens can withstand sun and rain. 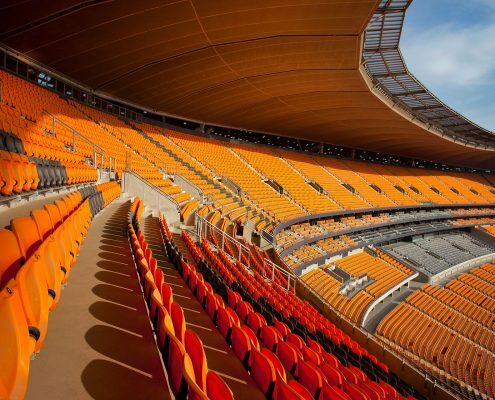 An important application area for Colortherm yellow pigments in combination with organic phthalocyanine pigments is the coloration of artificial turf, which is becoming increasingly popular and enables a significant reduction in the maintenance costs of stadiums with lawns. 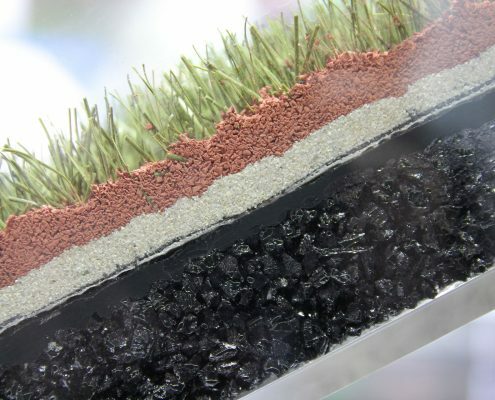 The natural color of the lawn can be matched exactly with the pigments, so that at first glance there is little difference between real and artificial turf,” explains Christoph Schmidt, Head of Global Brand Management at the LANXESS Inorganic Pigments business unit. The World Football Association FIFA has defined the demanding 2 Star quality standard for the use of artificial turf for international tournaments. 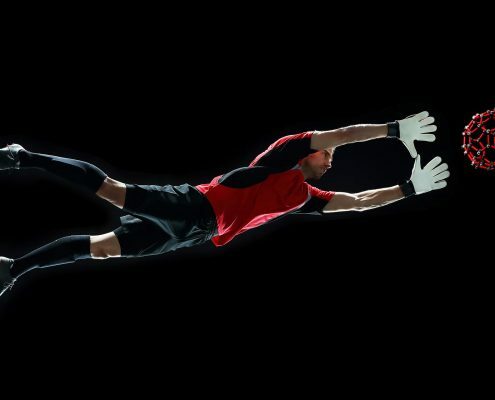 This standard incorporates the experience of players, findings from medical research and test results from industry. Only artificial turf that passes the test of the World Football Association can be admitted as an official playing surface for national and international competitions.